Posted on December 9, 2013 in Front Page and News. 0 Comments Tags: bitcoin, cryptocurrency, ecommerce. Have you heard of the new electronic “cryptocurrency” called Bitcoin? Sure, it’s volatile, and it can be used for illegal things, but it’s also gaining popularity as well as credibility. There’s a lot of misinformation out there, and you might not be able to use it to pay for your groceries at the local market just yet (or can you?) but you can buy a Tesla Model S electric car and other odds and ends with it. The Bitcoin movement is still pretty new, but we think it definitely has its place in the world of e-commerce moving forward. So we’ve added the ability for you to use Bitcoin to purchase Copy2Contact right here on our web site, via Coinpayments. Just choose Bitcoin as your payment method while checking out. 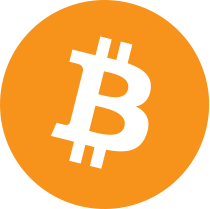 We even added a 5% discount for Bitcoin users since it saves us money on bank processing fees. Tell your friends! Set up an account with coinbase.com or bitstamp.net to get Bitcoin for yourself. You can learn more about getting started with Bitcoin on bitcoin.org. And feel free to leave us a comment below… we’re dying to know what people think.